I have both good and bad news for you. Good news is that you will compete with only a few other applicants for a position of a system analyst (sometimes you can actually be the only job candidate they interview on a given day). The bad news is that you can expect a complex interview, consisting of behavioral and technical questions, and short case studies that will test your readiness for this special job. Whether technical or behavioral interview questions prevail depends on the person who leads an interview with you. A CTO, or other senior IT officer, or an external recruiter specializing on IT recruitment, will ask mostly technical questions. Any other person (HR generalist, HR manager, CEO of the company, external recruiter who doesn’t specialize on IT etc.) will focus on behavioral questions (and easy technical questions). They won’t use complex technical questions, becasue they don’t have the capacity to interpret your answers to them, and to assess your technical skills accordingly. In most cases you will actually have to pass two interview sessions (or even three), one with an HR person, and another one with a technical expert. Questions will be different in each interview. Describe a situation when you went above and beyond with your service. Describe a difficult decision you had to make in your professional career. How did making the decision affect you? Special Tip: Many technicians struggle with answers to personal questions, and especially with answers to behavioral questions. If you are also not sure how you’ll answer these questions in your system analyst interview, consider having a look at our Interview Success Package., where you will find multiple brilliant answers to each difficult question. Thank you! If we hire you, what will be the first thing you do in your job? Considering the size of our company, and what we do here, what ERP solution would you suggest for us, and why? How often do you think the systems should be updated? Tell me about your latest process engineering experience. How did it impact the company you worked for? What firewall do you use, and tell us why. What is your experience with network engineering? Do you prefer solutions from CISCO, Juniper, or other, and why do you prefer them. How do you monitor the cost efficiency of IT systems? Explain hat a spoofed packet is, and try to do it in a simple language, so a person with minimal knowledge of IT will understand you. Short case study: Some production processes have changed in the company the last month. The current ERP (name of the ERP) can not handle the changes. What steps would you take in this case? * The case studies will differ from company to company, depending on the job description, and on the expectation the managers have on a new System Analyst. As you can probably guess, the technical questions vary a lot, and they will depend on the IT infrastructure in the company, the networking solution they use, and the reasons why they want to hire a new system analyst. The job description, and some research you do about the company prior to the interview, should help you to foresee the technical questions–at least to certain extent. Nevertheless, you won’t succeed in answering technical questions, unless you really understand the job of a system analyst. The situation differs with behavioral and screening questions–the one you will deal with in first rounds of interviews. If you would like to learn how to answer these questions, check our Interview Success Package. An in-detail analysis of each question, and multiple brilliant answers to each question, will help you to relax, and to prepare for the big day. IT & Technology Interviews – Various IT jobs, interview questions for programming languages and technology jobs. Group interview tips – Are you invited to interview in as group? 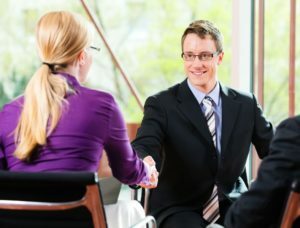 Learn how this experience differs to a typical one on one meeting, and how you can make a best possible impression on the hiring managers. How to answer interview questions – It is not only about what you say, but also how you say it in an interview. an interesting article that will help you to understand how to make a right impression on the hiring managers.